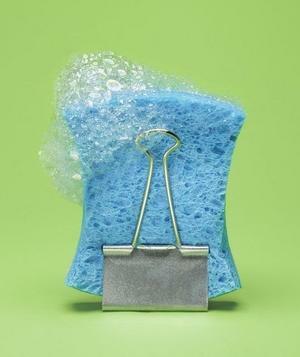 Thinking about cleaning? 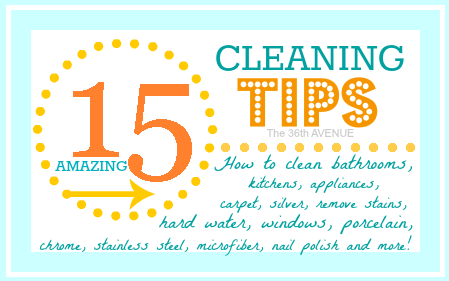 These 15 Cleaning Tips are for me! 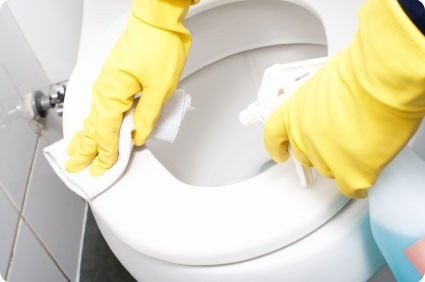 I can imagine my house saying to my guests things like… Dear Guest, thank you because my owner scrubbed behind the toilet for the very first time in months. Thank you, because every bed smells fresh and clean. Thank you, because the floor has been mopped, the mirrors are sparkling, and the bathtub doesn’t have any laundry inside. Thank YOU. Sincerely, Desirée’s House! Seriously! If my house could talk it would thank every single visitor that comes to stay overnight. 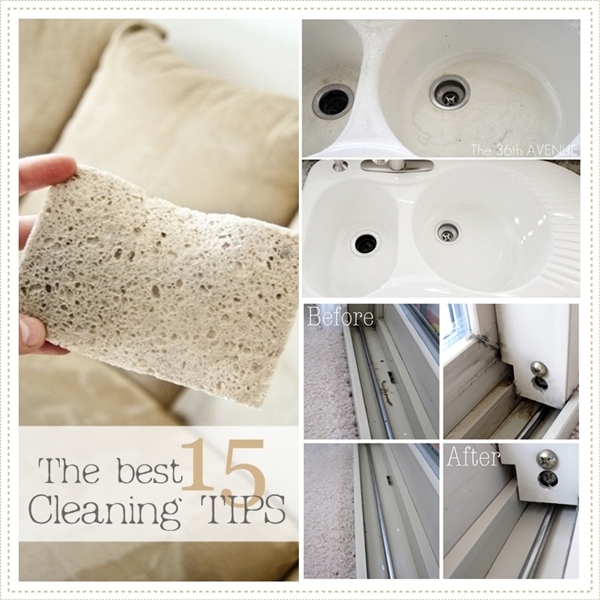 Let take a look at these I thought to share Best 15 Cleaning Tips that I have found around! 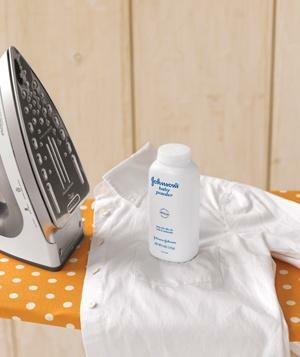 Sprinkle a little on the shirt’s underarms and collar, then iron to prevent sweat stains on white shirts. 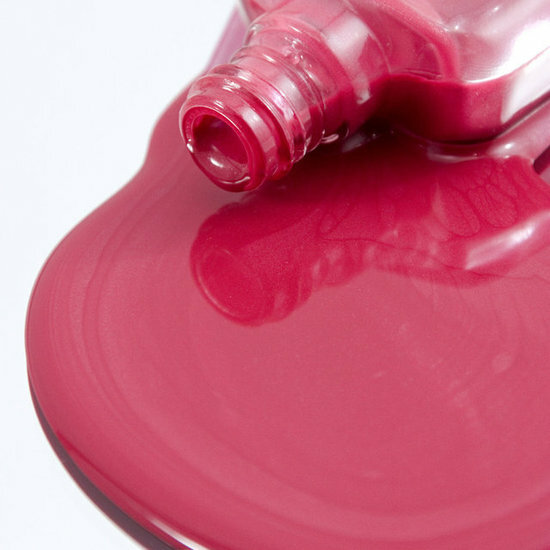 Use white vinegar, liquid dish soap, washing soda and water to make your floors spotless. 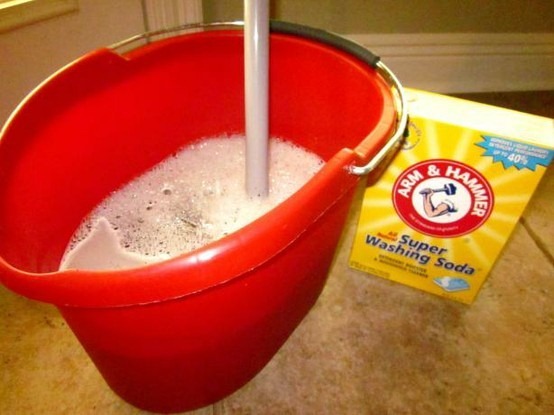 Apply a dab to a cotton cloth and use it to shine everything from faucets to hubcaps. 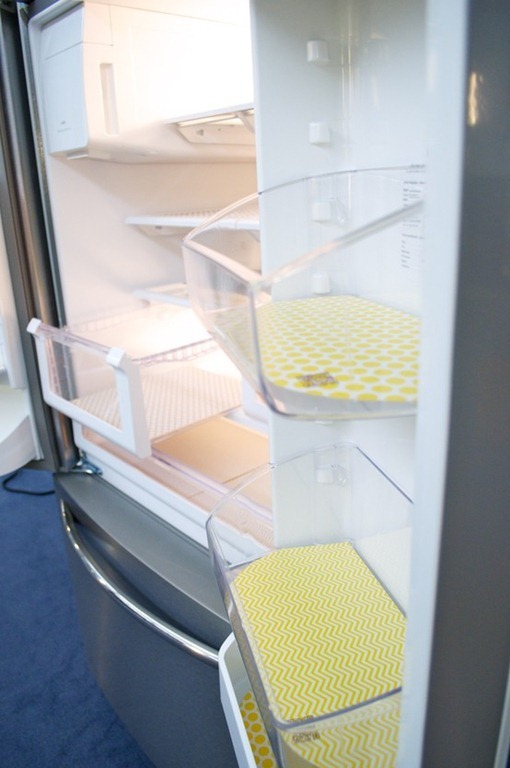 These Fridge Coasters absorb, keeping us from taking the bins out to scrub. 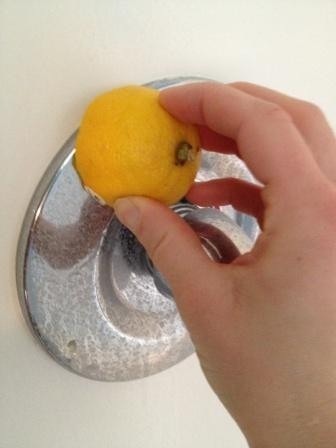 Simply use a lemon. I tried this and WORKS! The best part? No scrubbing need it! Great tips over at Bellasugar. 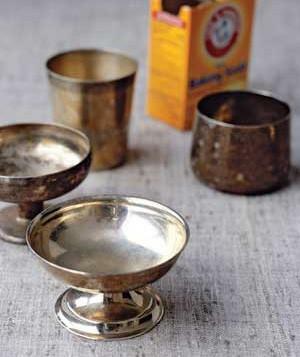 All you need is vinegar and baking soda. We are talking about how to clean a window like the professionals do. and the great tips by Ask Anna. then shine with a dry paper towel. 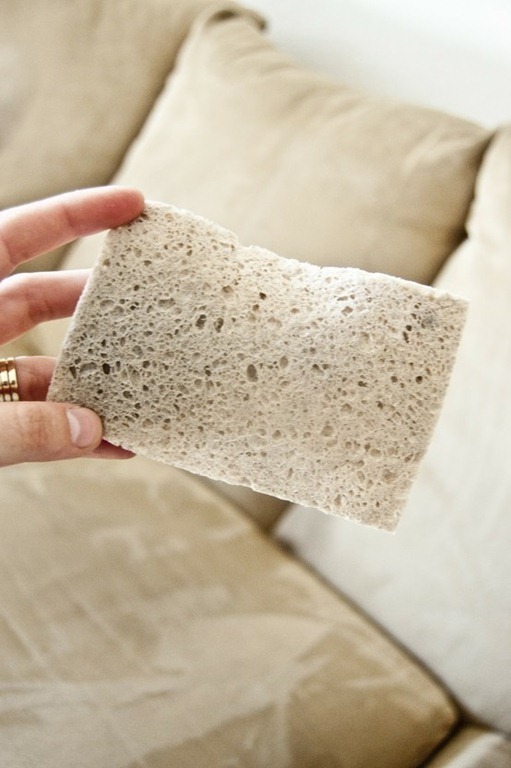 Use dryer sheet (or new) to cut your bathroom cleaning time in half. Makes mirrors and bath fixtures sparkle. 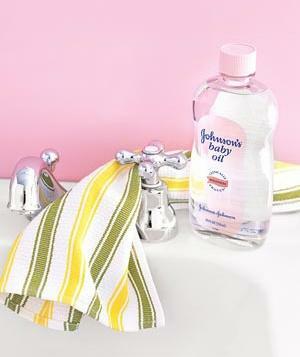 Cuts right through soap scum on bathtub and makes the bathroom smell great! 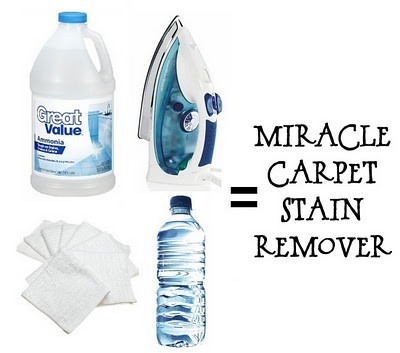 As simple as adding a baking-soda solution and cover for a few seconds. The result? A chemical reaction that gets the black off the gravy boat. I am finishing with one tip of my own. 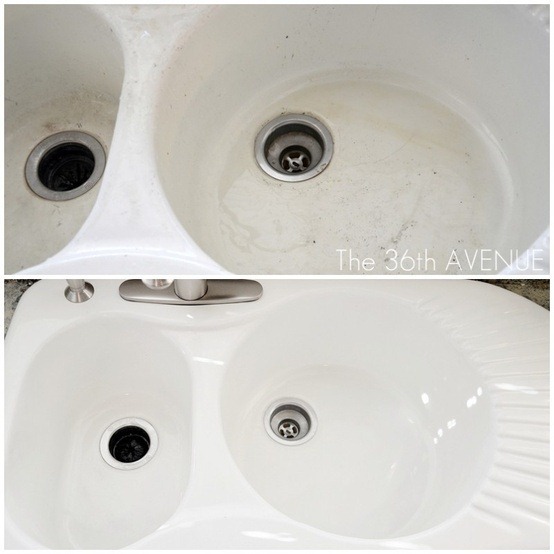 Just three steps to a perfectly clean porcelain sink. I do this every 4 to 6 weeks to my sink. It works perfectly! and keep it clean after they are gone. WOW! I sound like my mama! Here are some other cleaning tips that I love! I am very excited about the tip for cleaning porcelain sinks. I hope mine will look like yours when I’m done! I use wHite vinegar and warm water to clean my car upholster and It looks like nEw. I also find that small paint brushes (the sizes used for painting pictures) and those foam brushes are great for cleaning all of the window channels that I have. I love the lemon tip! 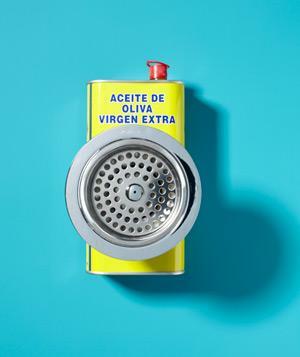 Works great, even with really hard water. Thanks for all the tips!